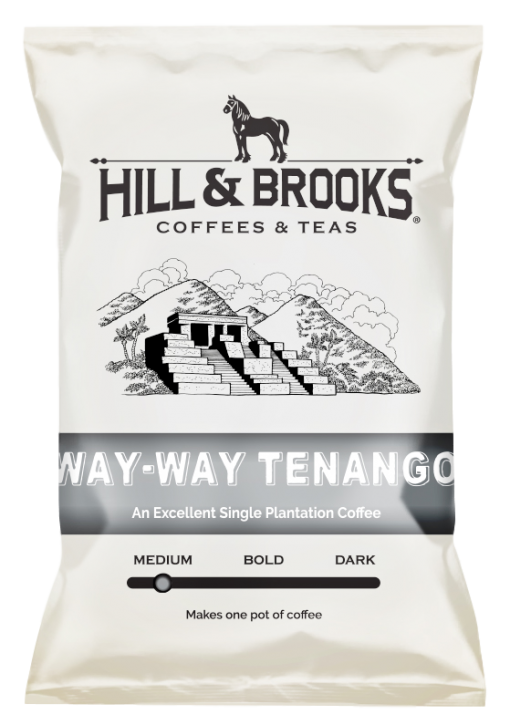 WAY-WAY TENANGO: This superior quality coffee is grown in Huehuetenango, Guatemala. Although world renowned, the coffee so named for the region is rarely properly pronounced. 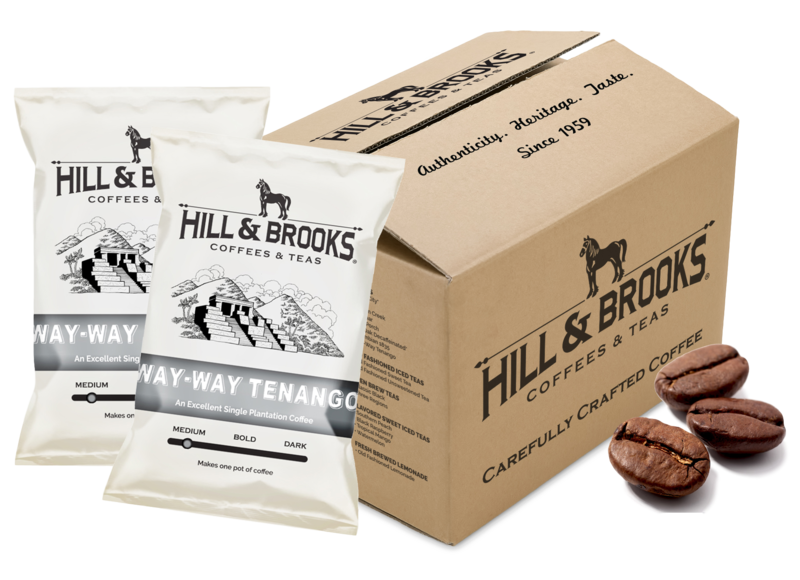 We thought we’d pay 100% hard bean coffee which matches up to any quality bean in the world. Hill & Brooks works directly with the growers to bring you this rare, high-end coffee. Cupping Notes: Our fully developed medium coffee blend has a fragrant floral bouquet and a delicate flavor profile. This medium bodied coffee has a caramel vanilla sweetness and a crisp lemon acidity. Countries of Origin: Guatemala. Guatemalan coffees are defined by their distinctly alluring brightness and smooth finishes ranging from soft cocoa to caramel vanilla. 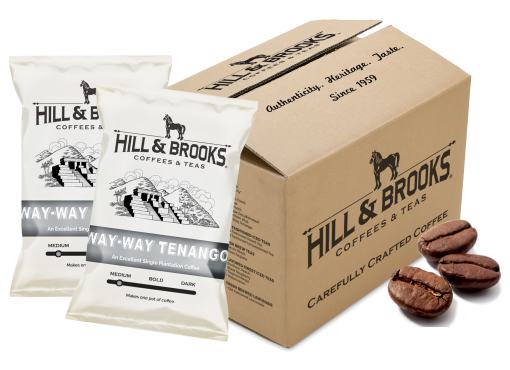 Hailing from Huehuetenango, in the western highlands of Guatemala, the cup showcases the arduous efforts of selectively hand picking micro-lot coffees with the rewarding flavors of the ripest cherries. 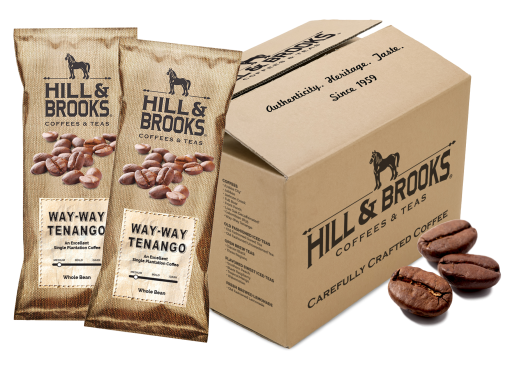 All Hill & Brooks coffee available in whole bean.